Jennifer Taft brings over 14 years experience in the healthcare industry to Medical Management Services. 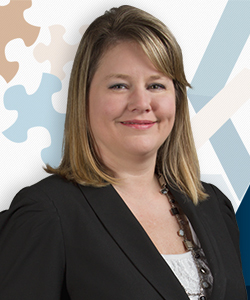 As an Executive Consultant, Jennifer’s focus is in accounting and financial operations. Her range of expertise extends from traditional finance department responsibilities to performing physicians practice analysis and assessments. Jennifer specializes in financial analysis, budgeting, and process improvement specifically related to accounting information systems. Jennifer began her career in accounts payable and payroll working directly with multispecialty physician offices. Her experience in multiple aspects of the finance arena have afforded her exposure to both the financial and operational side of physician practices. Jennifer’s diverse experience across multiple finance areas coupled with her analytical mindset offers a strong knowledge of bringing efficiency and effectiveness to traditional and non-traditional finance processes. Jennifer earned her Bachelor’s Degree in Accounting from Troy University.